I have always compared our story to a journey. Now I know what an incredible journey we are in for. We have only begun this adventure last fall since learning of Lilah's diagnosis... and we fell right off that cliff begging and desperately searching for a way back up to the top. But this was our new fate and hand-in-hand, we turned and saw the unknown. We were scared. Crazy scared. We had no idea what we were in for, if we would succeed and if happiness could be found in this new place. So, we took a few steps. Yes, it was different. A few more steps. Ahhh... different isn't always bad. A few more steps. Starting to see the light. Keep going. Wow, different is lovely. And even more steps. Different is amazing. Our journey is amazing. I don't want to go back. I am too in love with different. I am too in love with our journey and this new view. Bloom... the party that will always be more than just a party to me. It could simply be put that it was undoubtedly one of the best nights of my life. Ever. First, I have to give credit to the author of Bloom, Kelle Hampton. I first fell in love with Kelle's daughter Nella shortly after reading her birth story over three years ago where Kelle so beautifully, honestly and bravely writes about the moments after learning of Nella's Down Syndrome diagnosis. 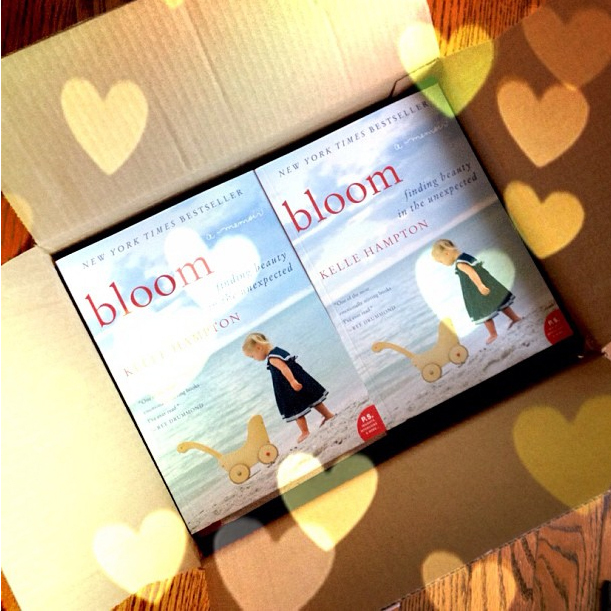 I read Bloom when I was pregnant with Lilah and I should just say, I was so moved. Looking back, there was something different for me reading this book. I actually had the thought, "I am reading this for a reason. I don't know why yet... but someday I will understand." A few months later when I learned Lilah would be born with dwarfism, I found myself referring to Bloom and thinking about Kelle and her experience. It was my road map. I saw Kelle's happy ending and I skipped a lot of heartache and went straight to that happy place. Not to say that it wasn't hard... but oh how it saved me from deep pain. Needless to say... having Kelle as a role model and a friend has been life-changing for me. And in her book, she describes a party where her friends gathered and celebrated Nella and the first year of her life. It was in reading this that I knew... I needed to celebrate my Lilah too. I needed it for her. I needed it for me. And so the idea of a Bloom party was born. So I called my best friend, Tina and said, "How?" How do we have a party with lots and lots of women from the community that don't know each other, don't necessarily know me that well and that will voluntarily take time out to celebrate this baby girl AND form new friendships AND serve as a safety net for each other. Mamas lifting each other up, supporting, sharing, loving instead of judging, comparing and criticizing. "How?" 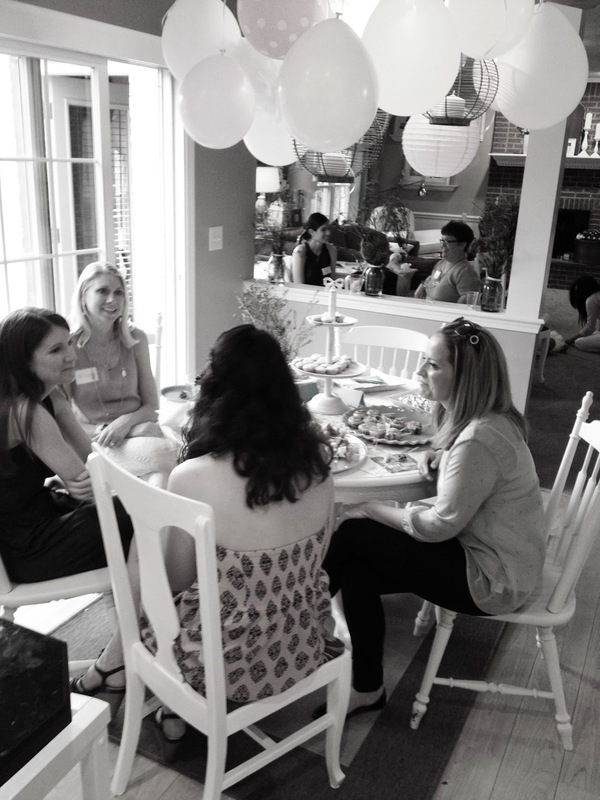 So with many nights brainstorming and a DVD invitation explaining just that... we set forth to have a Bloom party in which we celebrate the concept of "Grow where you are planted." Ladies... fifty-five of them... coming into my house with smiles and hugs and lots of energy. Ladies I haven't seen since I taught with them 7 years ago. Ladies I haven't seen since our sorority days twelve years ago. Ladies I have only met once. Ladies that were my new neighbors. Ladies that I haven't seen since high school a very long time ago. They showed up. To celebrate my sweet Lilah. To celebrate differences. To celebrate friendship. They showed up. My house was full. There were ladies everywhere and every which way I turned I saw friendships being formed, stories shared... the net was starting. I was beaming. Tina said, "It's happening. We're doing it." Yes, indeed. 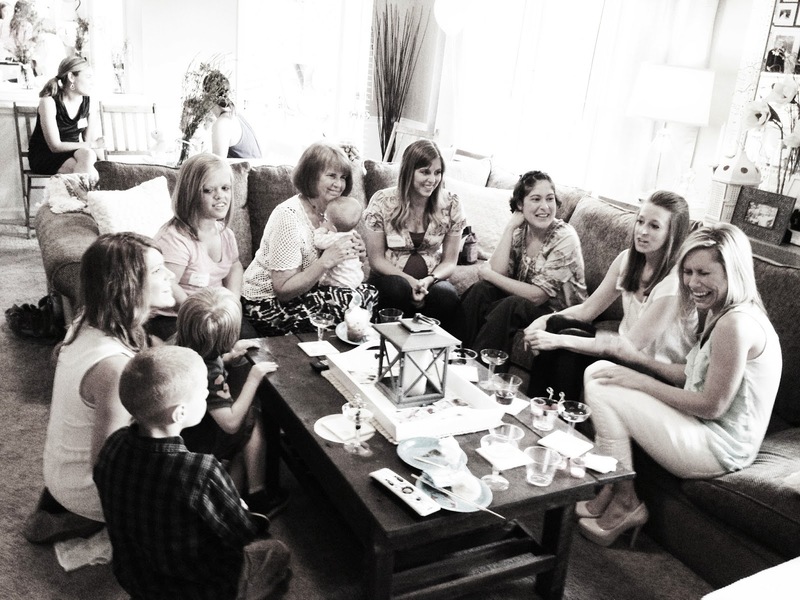 I clinked my glass and gathered everyone in the family room. I had a story to share. My story. Lilah's story. It was important to me to say, "Thank you." Thank you for showing up. Thank you for that e-mail... that letter... that text...that Facebook 'like'... that Instagram comment... that card... that prayer. It meant something. It helped me on my new path to have the confidence to keep going. And in a world where do-gooding goes unnoticed... I needed to make sure it didn't. It mattered to me. And so, I wanted to encourage all to keep on being do-gooders because we are all making a difference... to someone. Continue to lift each other up. Continue to understand. Continue to teach your children that different can be beautiful. And in a room with fifty-five women... I knew there were fifty-five different journeys. There were fifty-five different stories of how each and every one of us came to be at that moment. And in this room... I knew there were stories of infertility, miscarriage, martial difficulties, clinical depression, loss of a loved one, special needs children, health-related problems, financial struggles and all of the above. But also in that room... I knew there were stories of hope, resilience, change, compassion, empathy, courage, positivity and love. Lilah's story is representative of all of those stories. About not just making lemonade out of lemons... it's about opening up a lemonade stand, scooping more sugar than necessary, using fancy glasses, striped straws with real lemon wedges and passing them out for free. Because that, is what it's all about. We split into small groups and in these groups we broke down our walls, let others in and cared about each other. I saw smiling, laughing, tears, hugging, learning and sharing. I saw shy ones open up and out-going ones listening. I saw dreams being encouraged and helping hands formed. I saw that safety net get stronger and stronger for everyone. And then... the surprise of the night... Kelle skyped into our party. That's right. She was in our family room, on the big screen doing the same thing: laughing, sharing, tear-shedding, caring and loving. It was such a highlight for me to see my inspiration get to inspire others right before my eyes. And that she did. Everyone... and I mean ev-ery-one... loved what Kelle had to say. "She's so down-to-earth, I loved when she said..., that's so true when she talked about..." A Bloom party with the original Bloomer. Nailed it. The sundae bar was open after Kelle spoke and I encouraged all the ladies to hang around and get to know each other even better. The make-shift photo booth was being used, the champagne was still flowing, and the contact board was being filled up with all of those wanting to share their info. Stories and more stories and more stories were shared throughout the night until finally... it was 2AM and it was me, Tina, my mom and Mandy (my high school girlfriend whom I shall just say, was a huge part of the party) around the dining room table having some big 'ol belly laughs rehashing the days when we were sporting the world's worst fashion decisions... pretty much ever, in all of history. And it was perfect that it ended that way. Kind of where it had started... with friendships way back long ago that are still alive and well today. And in the spirit of making new friends and being the kind of friend that is always there... yep... perfect. For it truly was one of the best nights of my life. 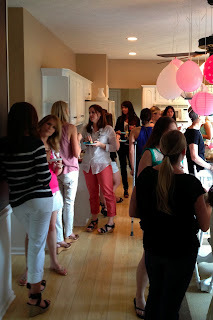 Seeing Lilah in her polka-dotted pink jammies making a cameo at the party, loving all of the attention letting anyone hold her and snuggle her... was just the absolute best. This party was for you sweetie... I want the world to know that the lessons you have taught us about this one and only precious life have made us forever changed. I continue to be humbled by the light you hold in your eyes, your ability to make people fall in love with you and the wisdom you carry in your soul. I love you... my little birdie. **For those of you who helped make this Bloom party possible... I cannot thank you enough. My neighbor girls for rockin' it out and being the best hostesses ever... love you girls! My mama for being in charge of all the food and for just being awesome and my neighbor Betsy, my cousin Ashley and my sister-in-law Janelle for helping me set-up. To my bestie Tina... girl... you mean the world to me and this party so couldn't have happened without you. Love you! Kelle... what an addition you were to the party my friend, can't say enough how grateful I am that you were a part of it. To Col for coming from San Diego and fitting this into your busy schedule. To everyone who came... thank you so much for being a part of this night. And for those of you who know me well... it wouldn't surprise you that we are doing a Bloom party round II. Because when something is that great... it's just a shame not to share it. I will give more details later and yes, you are invited. And yes, it will be in Indianapolis this summer. So, see you soon. "From the deepest wounds, beauty finds a place to bloom..."
What an awesome celebration ... what a BLOOM party! Loved your invitation and everything about the party. You made it personal but yet so open for everyone ... building a net and expanding it. I so wish I lived closer to Indianapolis so I could be a part of this community in person but for now I will continue to read your blog and be a part of your community from afar :) Keep doing what your doing Spencer Family ... keep inspiring, keep telling your story and keep sharing your beautiful daughter. Thank you for educating me. YOU are an inspiration and Lilah couldn't have a better mommy is the whole wide world, God knew exactly what he was doing. You go girl, change the world one day at a time, if anyone can do it, you can. Wow Leslie! Sounds amazing! 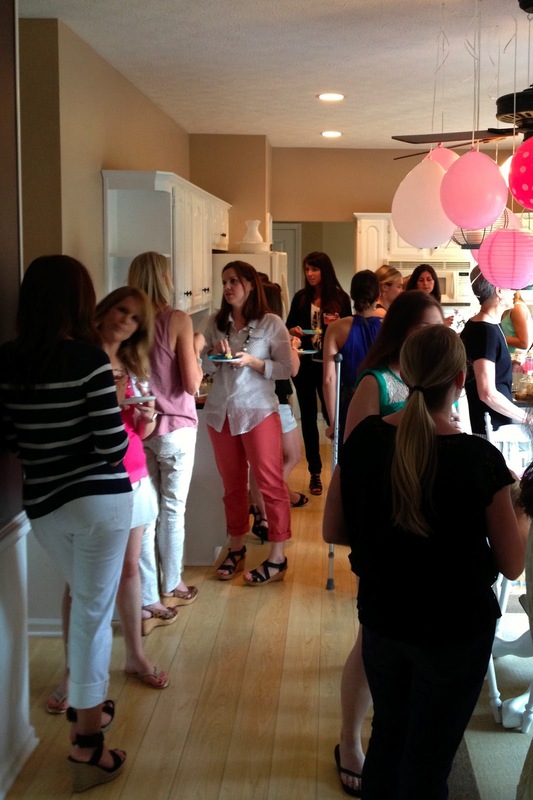 I would love to be a part of the next party! What an amazing light you and Lilah have been and will continue to be in this dark world. It is people like you that will always keep shining throughout and among the darkness. God bless you and your beautiful family. May God keep you always. 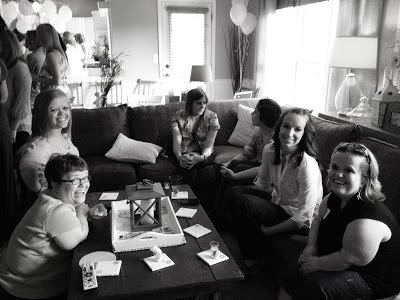 What a great party, and a great post! Found your blog through Kelle's tweet, and can't wait to start at the beginning to learn more about your story. What a beautiful event! I hope that this catches on- all communities and mothers need this. Something full of love, sharing and support. Wonderful! That was such a great event and idea. I always say God picked very special parents for these amazing children. you are an awesome momma!! 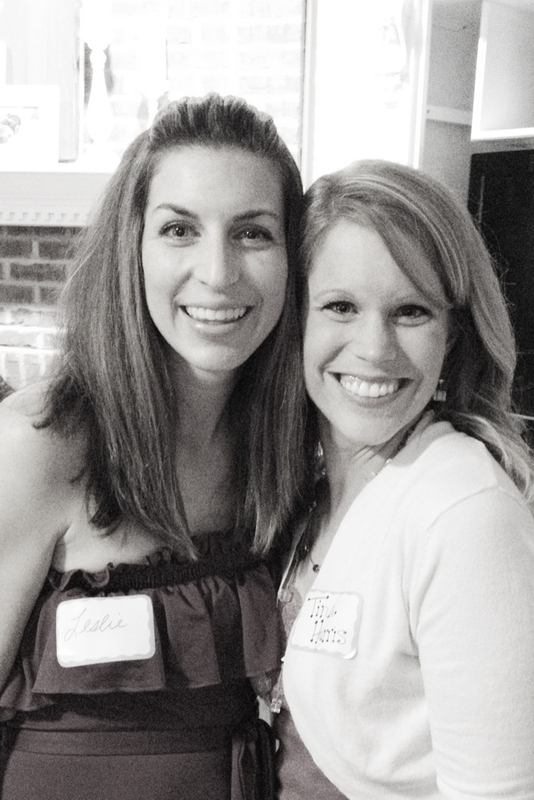 Leslie, I have so enjoyed following you and your family on this blog. Congratulations on the Bloom party and all you have done to celebrate your daughter. She is precious and I hope I get to meet her someday. Leslie! I didn't want to offend you in any way on Instagram but I know some lp have hip issues already so I thought maybe I would warn you! Carrying a baby in a carrier facing out can damage their little hips so its adviced against. I don't want to offend you or to come off as nosy but thought you might want to know! Oh goodness no! You didn't offend me and I know it is coming from a good place! I thought I might have some eyebrows raised when I posted that picture! LOL. We actually had a chiropractor friend tell us the same thing about my son when he was that age... so I was so reluctant to position Lilah that way, of course. But, we have talked to our geneticist from Riley (who has been working with little people for 35 years) and our pediatrician, and they both said it was fine. So... I have to go with what they say since I trust them but I understand how it can raise concerns. Thank you for taking the time to reach out and thank you for following us on IG! XOXO Have a great day! This is AWESOME...I wish I could have been there to experience it and KELLE making an appearance..WOW, awesome..